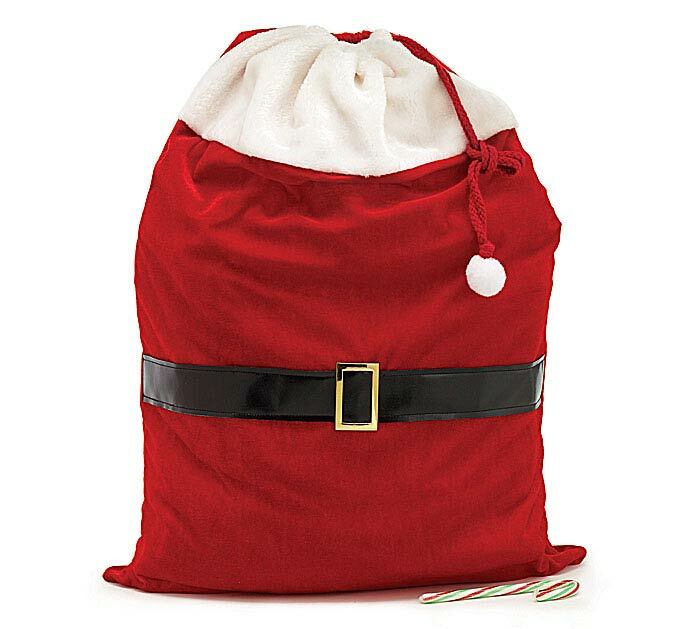 Red velveteen drawstring Santa bag with white fur trim at the top, accented with black belt around the middle. 28" H x 20" W.
Very cute and seems to be good quality. I wish there was a bigger size option.